The Supreme was the first Evolution line Marathon and now in its second generation the new OneStar compound makes it even faster. With the new profile it not only looks good, but also rolls more nimbly than ever before. Maximum comfort and speed are achieved in its Tubeless Easy version - unbeatable as the very fastest. In standard pedelecs that have motor assist up to 25 km/h, there is no legal requirement for a special tire. But even with these bikes, loads and average speeds are higher than in regular bikes, therefore we recommend only certain tires as "E-Bike Ready 25". Note: The Marathon Supreme does not have a dynamo lighting strip. Schwalbe tyres are rated on a score from 1 to 6 with 1 being entry-level and 6 being pro level. Schwalbe tyres are rated on construction, rolling, road grip, off-road grip, protection and durability. 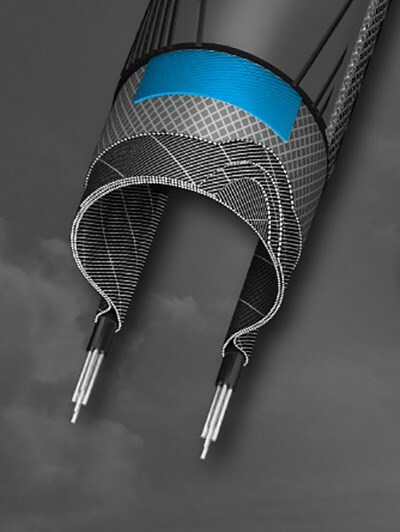 With a range of different puncture protection options and tread patterns designed for different surfaces Schwalbe hybrid bike tyres are packed full of technology. See the range of technologies that make their hybrid bike tyres an ideal choice for commuting and leisure cycling. 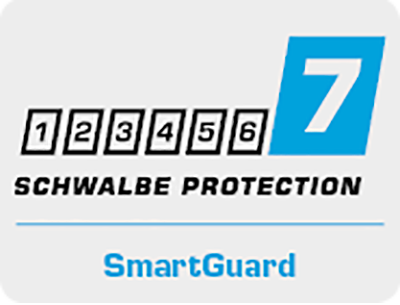 Protection Level 7 – Smartguard offers the highest level of puncture protection. A 5mm thick layer of special Indian rubber sits under the tread offering durable protection against objects penetrating through the tread. The Indian rubber layer is highly elastic for better handling. 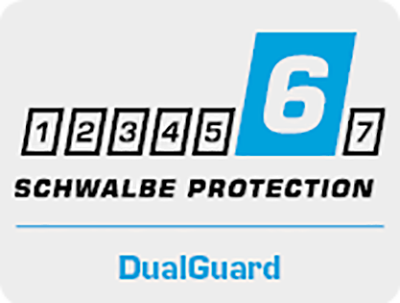 Protection Level 6 – Dualguard offers high levels of puncture protection. Two layers, special Indian rubber and nylon fabric sit under the tread to give you durable protection against objects penetrating through the tread. The Indian rubber layer is highly elastic for better handling. Protection Level 6 – combining a double layer of nylon under the tread with snakeskin sidewall protection. This lightweight protection is designed for racing. Protection Level 6 – Combining a Greenguard Indian Rubber layer under the tread puncture protection with SnakeSkin side wall protection, these tyres offer superior puncture protection. Protection Level 6 – Combining an extremely resistant cut layer under the tread with SnakeSkin side wall protection, these tyres offer superior puncture protection. Protection Level 5 – Greenguard uses the same Indian Rubber insert under the tread as Smartguard but at 3mm is slightly thinner. Protection Level 5 – Puncture Guard offers the same levels of protection as Greenguard but is more affordable and not as highly elastic. Protection Level 5 – Using an extremely resistant cut layer, V-Guard tyres offer a high level of puncture resistance. Protection Level 4 – A double layer of Nylon fabric under the tread offers good protection for light, sporty tyres. Protection Level 3 – A natural rubber layer, reinforced with Kevlar fibres under the tread offers the minimum standard for puncture protection in Schwalbe tyres. Sidewall Protection – SnakeSkin is a monofilament fabric on the sidewall of the tyre which provides the best cut protection for sidewalls. 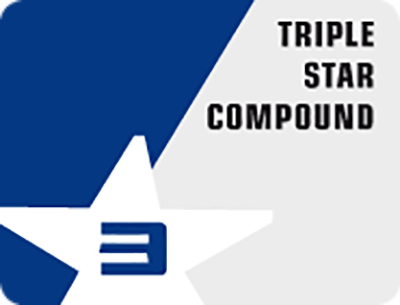 Triple compound tyres have different compounds in as the base, centre and shoulder sections of the tyre. Softer shoulder compounds give you more cornering grip, while harder center compounds offer improved durability and lower rolling resistance. 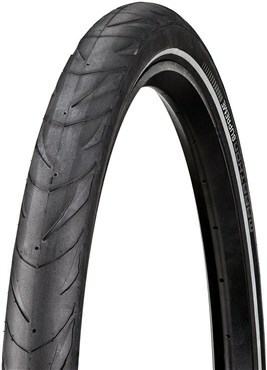 Tubeless Easy road bike tyres feature an extra stable tyre core for secure seating on the rim as well as well as a MicroSkin covering that envelopes the entire carcass. 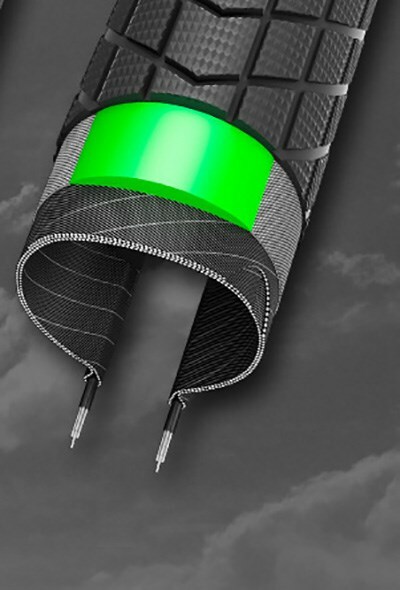 As well as facilitating easy tubeless set up and running, even as high pressures, MicroSkin also improves cut resistance. Tubeless Easy mountain bike tyres feature monofilament Snakeskin fabric on the sidewalls which makes tubeless conversion very easy and safe. Snakeskin also offers the best side wall cut protection. This technology is found on all MTB EVO line tyres. 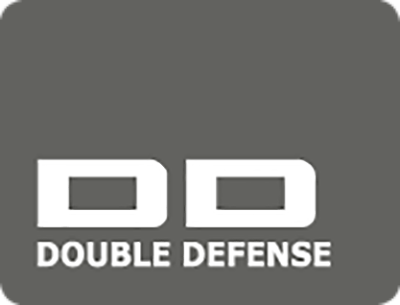 With a SnakeSkin layer all around and an additional RaceGuard layer under the tread these Double Defence tyres provide maximum security for off-road tyres. These tyres are ideal for e mountain bikes. 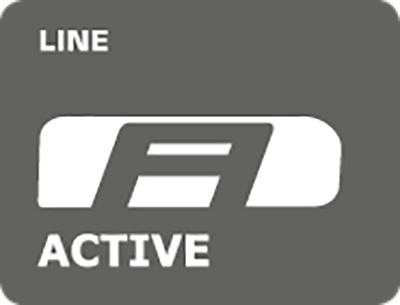 Evolution line tyres feature all the best materials and technologies available for the very best performance. 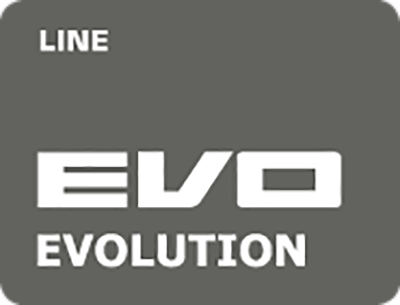 For the very best possible choose EVO tyres. These tyres offer the ideal balance between performance and value for money. 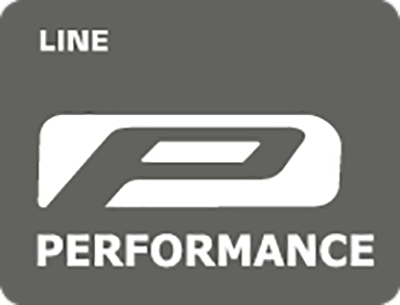 Performance line tyres are excellent quality and ae designed for intensive use. Active line tyres feature a high-quality 50 EPI carcass with additional K-Guard protection. 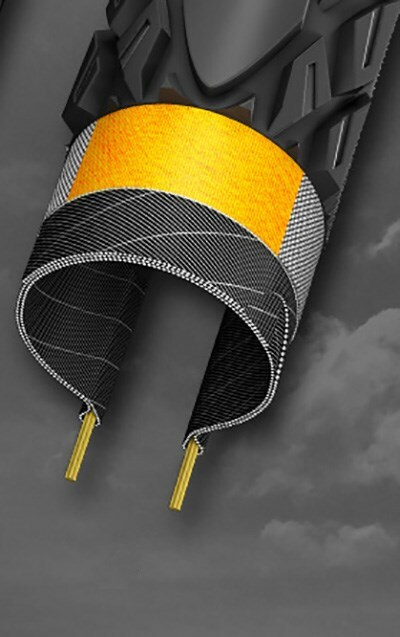 Ribbing on the side walls is designed to work with a dynamo.